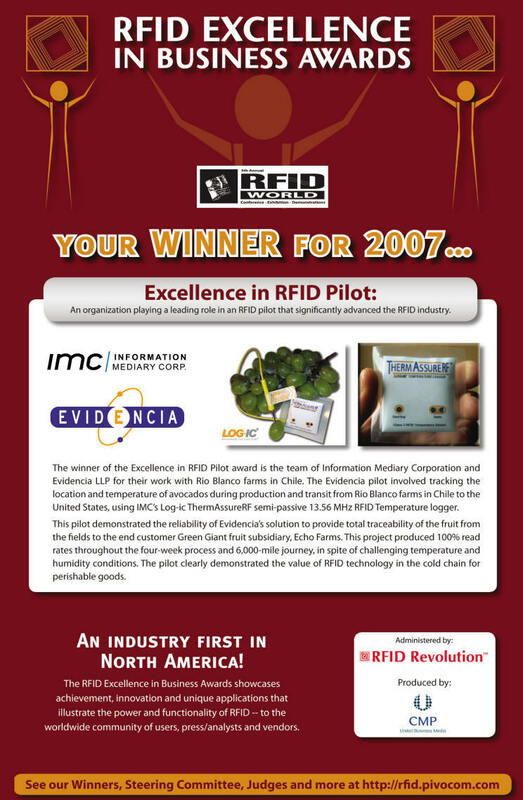 Evidencia provides data loggers, RFID Temperature sensors, temperature labels and traceability solutions for optimal cold chain management and in-transit logistics monitoring. Our ThermAssureRF allows to record and monitor temperature fluctuations & cold chain events during shipment and storage of your temperature sensitive products. This highly accurate, stand alone, miniaturized RFID temperature sensor makes data retrieval quick and easy. efficacy and integrity of temperature-sensitive products.